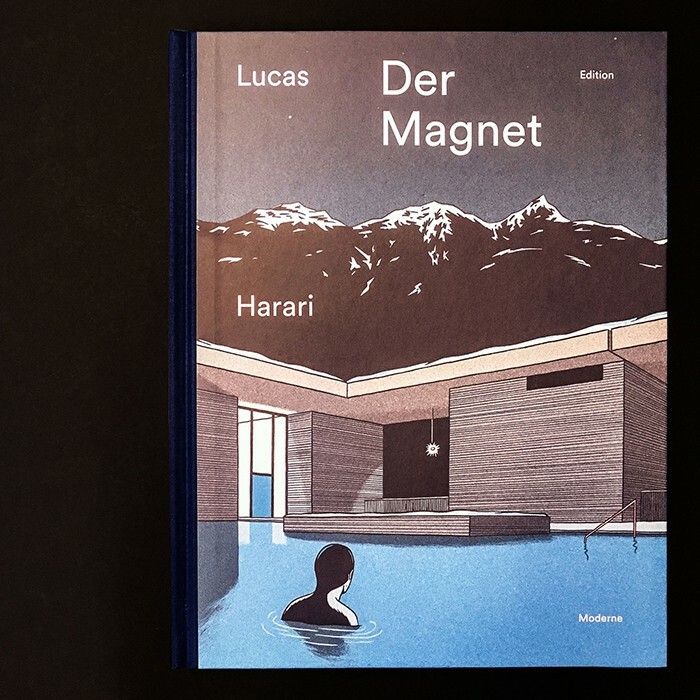 The graphic novel "Der Magnet" (The Magnet) by Lucas Harari is a thriller around the iconic Therme Vals from star architect Peter Zumthor. Pierre a young student in architecture is fascinated by the mythic edifice and searching for a secret behind its walls. The book is printed in three pantone colours on uncoated paper and elaborated with a hardcover in half-linen.